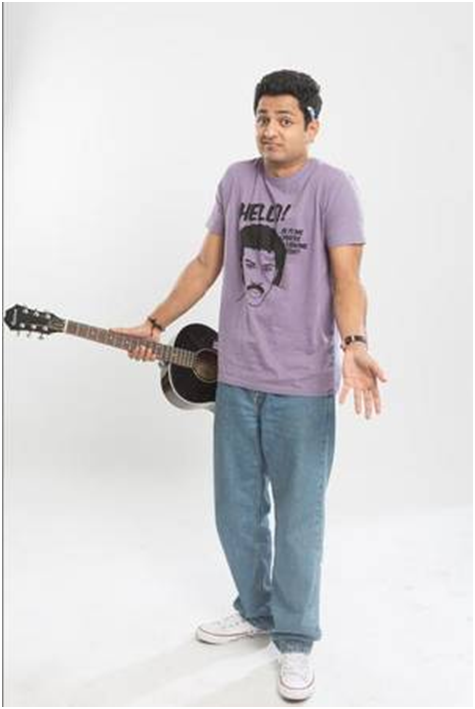 If you are even slightly aware of the Indian Comedy Scene, you could not have missed the ingenious stand-up comedian Kenneth Sebastian or fondly nicknamed, Kenny. The guy will make you burst out laughing with his relatable brand of humor about the most mundane stuff in life. 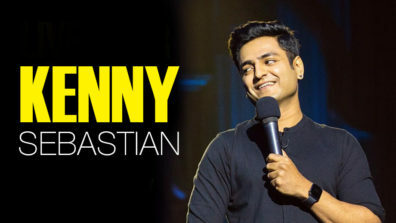 Kenny Sebastian is easily one of the top 5 comedians in India and is hailed as the future of the Indian Comedy Scene. 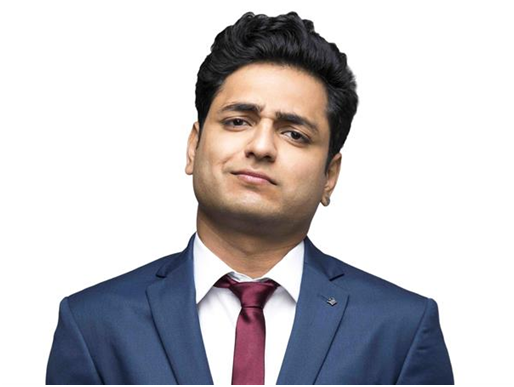 Now, if you are not already familiar with the popular comedian, let’s trace his journey of becoming one of the most sought after comedians in India. 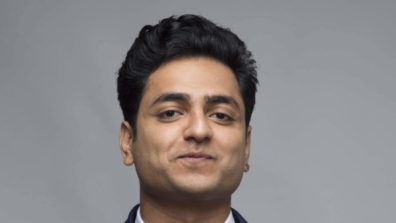 With his father being an Indian Navy Personnel, Kenny Sebastian spent his school days moving across country quite frequently, eventually settling in Bangalore after his father’s retirement. Kenny always had a creative streak in him. 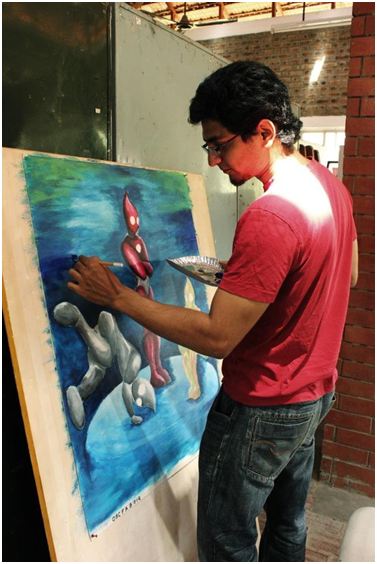 He has degree in Visual Arts and also learnt painting for 4 years at “Chitrakala Parishath”. When he was in 9th grade, Kenny discovered YouTube and was instantly intrigued with filmmaking. With no equipments of his own, he borrowed his neighbor’s camera and began doing short films on YouTube. “I possibly had one of the earliest Indian YouTube channels,” says Kenny. Encouraged by his theatre friend at Chitrakala Parishath, Kenny spent majority of his college life creating and editing several of his films and uploading them on YouTube. Kenny Sebastian was a struggling musician for 2 years before diving into comedy. 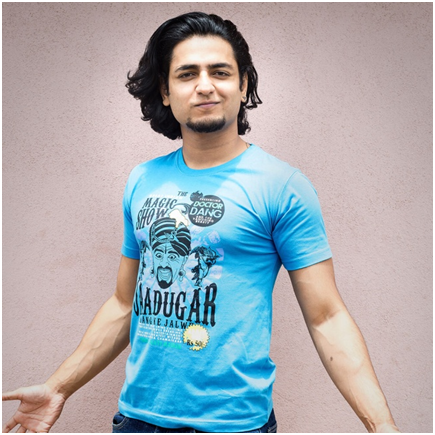 This multi-talented guy did several Bollywood covers on YouTube. Mind you, he has no formal training yet is an accomplished vocalist and can play the guitar too. 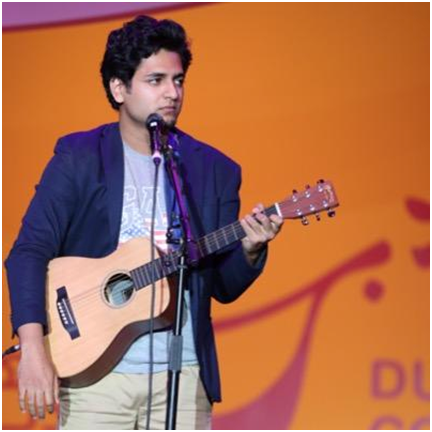 You will often see him bringing out his guitar during his comedy sets for some musical humor. In fact, did you know Kenny released an acoustic album out called ‘Balance’ which he self-produced. Kenny used to watch comedy shows on YouTube when in college but his first foray into stand-up comedy was completely co-incidental. 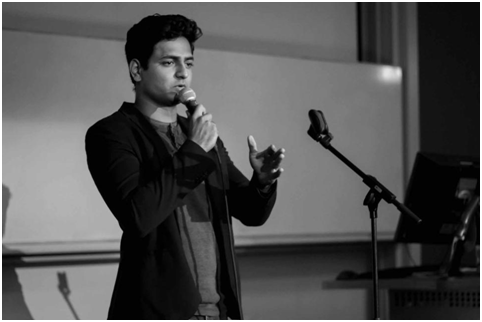 He was 19 when Kenny Sebastian first performed at a stand-up comedy festival held by the IIT fest in Mumbai. He decided he wanted to perform and he did. He was naturally nervous but did not back out, eventually coming in the final 10 of the competition. He was given tough competition by a professional comedian but he stuck to his strength, talked spontaneously about his experience at IIT which had the crowd roaring in laughter and took home the trophy. 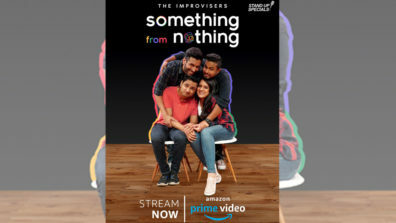 His winning prize was a chance to perform with popular stand-up comedian Vir Das at The Comedy Store which he didn’t go to because did not know anyone in Mumbai and ended up going back to Bangalore. Luckily for him, the comedy scene was gaining ground in his city. He contacted a group of three stand-up comedians featured in a newspaper and asked for a chance to join them. When he recounted his IIT experience to them, he realized he had missed a big opportunity with The Comedy Store. That did not deter him though. Kenny started doing spots with the help of his three friends but he wanted to do something more. And that’s how he found his niche in guitar comedy and became a hit. 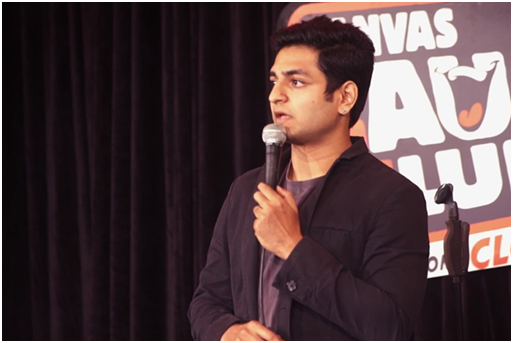 After being in the comedy scene for two years, during one such show he was approached by a comedian from Mumbai who told him he’d get him a spot on The Comedy Store. Kenny took up the chance. The owner found him good and was instantly given a spot for the weekend show. 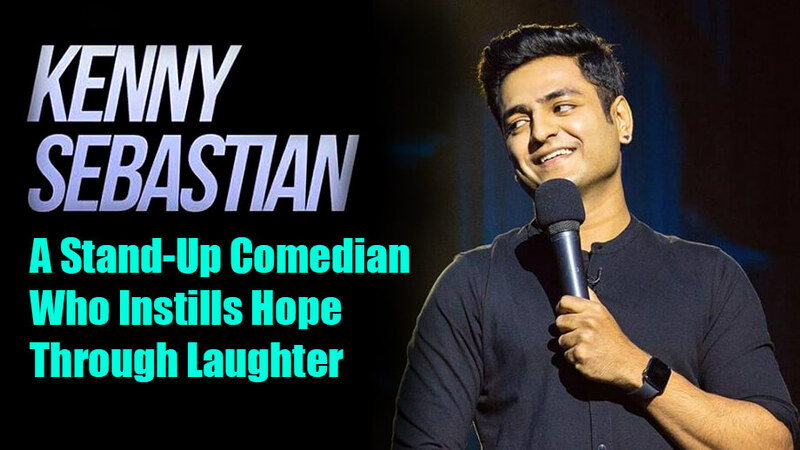 In almost a decade long career, Comedian Kenny Sebastian has done a lot of shows across the world in US, UK, Abu Dhabi, Singapore and of course, in India. 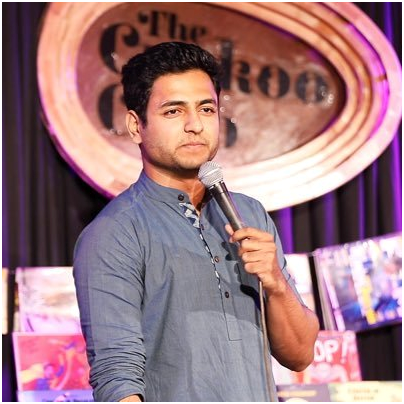 His show, ‘Chai Time With Kenny Sebastian’ started in 2016 where he interacts with live audience is an absolute hit for his humorous take on day-to-day life. 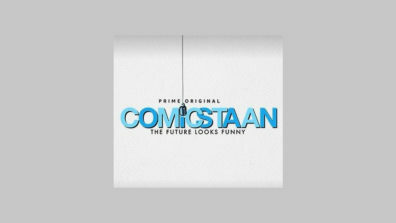 His recent sketch comedy show, ‘Sketchy Behaviour’ along-side fellow stand-up comedian Kanan Gill premiered on Amazon Prime this year. 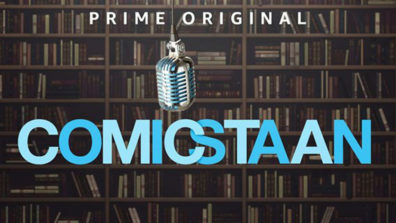 Amazon Prime Video introduces The Improvisers!